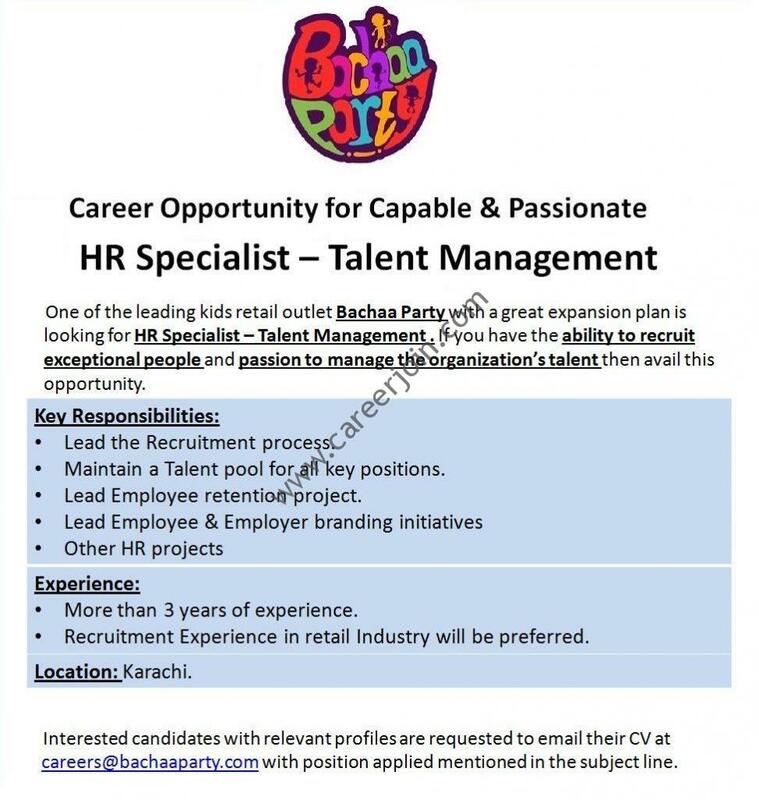 Bachaa Party Jobs HR Specialist Talent Management: One of the leading kids retail outlet Bachaa Party with a great expansion plan is looking for HR Specialist – Talent Management . If you have the ability to recruit exceptional people and passion to manage the organization’s talent then avail this opportunity. Interested candidates with relevant profiles are requested to email their CV at [email protected] with position applied mentioned in the subject line.